The Capital Adaptive Rowing Program had its first year of practice and competition in 2009. Of that early group of rowers there are but three members of Capital still with the group: Joe Tezak, Chuck Linderman, and Charlie Lenneman. None of the original coaches or Capital volunteers from that early time are with the program with the lone exception of our volunteer extraordinaire: Bob Lenneman, who brings and rows with Charlie and also brings Chuck Linderman. This is a reflection not on the coaches, but rather the intensity of personnel requirements to run a successful adaptive rowing program and the adversities that each participant must overcome to be successful. One thing is very different for CARP in 2018: continuity in the coaching staff from year to year. And continuity from one coaching year to the next is highly important for adaptive rowers. 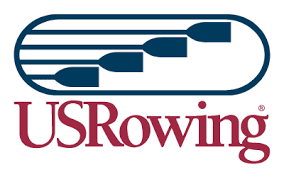 All of our athletes have been classified by medical professionals who understand the FISA classification system for adaptive rowers. 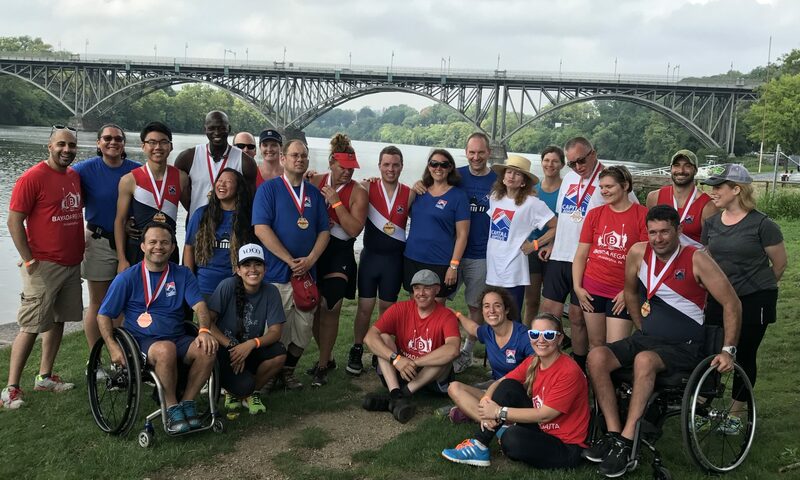 It is important for competitive purposes that this be done fairly, because it seems as though each adaptive athlete brings his or her own set of variabilities to an adaptive regatta. Our program includes single and double amputees, stroke victims, college athletic injuries, blindness, and degenerative end-of-life challenges. All of these are included in our program and all of them have medaled in the Bayada Regatta in Philadelphia. Our first head coach was Patrick Johnson with assistance from Mike Curtis. This was before the new boathouse opened in 2010. Patrick and Mike operated in the classic manner of crew coaches and did not hesitate to push the rowers as necessary. The results for that first year of competition were inspiring to all. In subsequent years, a variety of coaches, each with their individual style, have come and gone through CARP. Those coaches who have had the most success have had strong volunteer coordinators. Our current volunteer coordinator, Michele Woolbert is responsible for much of CARP’s success. She makes the boat assignments and determines which volunteers can pair up with which rowers. It is more of an art than a science. Sometimes, if CARP is short of volunteers, some adaptive rowers will go and erg, though this is not the best solution. Helping put away boats after the rowers return. Results from the Bayada Regatta in Philadelphia each August are the standard by which CARP measures success. It is truly a powerful spectacle to watch people with various challenges get into or placed into a boat for a race and see the results. It inspires everyone who is at St. John’s Boathouse that weekend in August. As we stand on the banks of the Anacostia at the beginning of June 2018, CARP has its first new double, is scheduling in shifts on Saturdays. 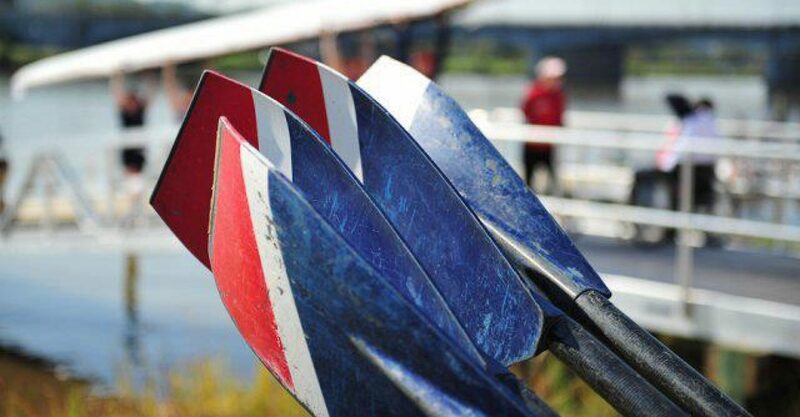 In order to get everyone on the water, with our limited number of seats, CARP is now splitting into two practices on Saturdays and practicing on four weeknights. How far we have come with the great and generous support from Capital! We could not have done this, and continue without all of the supportive people at Capital.